Which lines on the map matter most?It is time to reimagine how life is organized on Earth. We're accelerating into a future shaped less by countries than by connectivity. 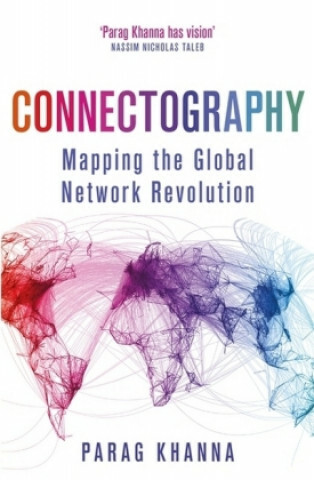 A world in which the most connected powers, and people, will win.In Connectography, Parag Khanna guides us through the emerging global network civilization in which mega-cities compete over connectivity and borders are increasingly irrelevant. He travels from Ukraine to Iran, Mongolia to North Korea, London to Dubai and the Arctic Circle to the South China Sea - all to show how twenty-first-century conflict is a tug-of-war over pipelines and internet cables, advanced technologies and market access.Yet Connectography offers a hopeful vision of the future. Khanna argues that new energy discoveries and innovations have eliminated the need for resource wars, global financial assets are being deployed to build productive infrastructure that can reduce inequality, and frail regions such as Africa and the Middle East are unscrambling their fraught colonial borders through ambitious new transportation corridors and power grids.Beneath the chaos of a world that appears to be falling apart is a new foundation of connectivity pulling it together.